Without a doubt, the rise of high-resolution content has been putting a lot of pressure on content creators to seek for faster and larger capacity storage. Just a decade ago, it was hard to imagine using up a terabyte of space, and today we already have single hard drives that can hold up to 12 TB of storage. As we battle our ever-increasing storage needs, the need for a storage solution that is capable of consolidating our data, while keeping it in a single, reliable storage array is becoming increasingly important. Thankfully, with companies like Synology specializing in building high-quality storage arrays, it is easy to find the right solution based on one’s needs. Although we have reviewed 8-bay storage arrays in the past, we realize that such large and expensive solutions are simply overkill for most photographers and videographers out there, so we decided to look at smaller and less expensive alternatives. When we found out that Synology was releasing a smaller, but powerful 6-bay unit, we wanted to test it out and see how it performs. 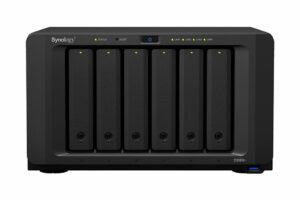 In this detailed review of the Synology DS1618+, we take a look at what this network-attached storage unit has to offer and how it compares it to its bigger brother, the 8-bay Synology DS1817+ for photo and video storage needs. The post Synology DS1618+ Review appeared first on Photography Life.